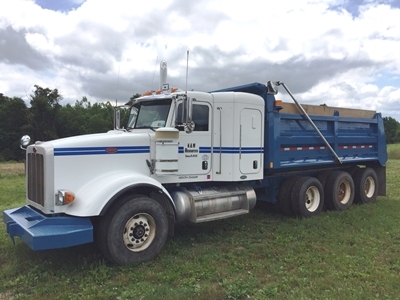 2007 Peterbilt 367 Tri-Axle Dump Truck with Cummins ISX 485 hp diesel engine, Eaton-Fuller 8LL transmission, engine brake, 265" wheelbase, double frame, air ride suspension, 20,000 lb. front & 40,000 lb. 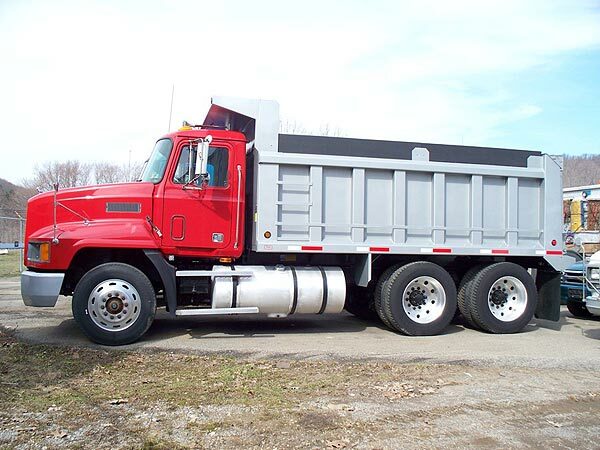 rear axles, A/C, 465/22.5 front & 11R24.5 rear tires, 3rd lift axle, 16' steel dump bed, air tailgate, tarp system, 36" integrated sleeper, 17,000 original miles. In good condition. Delivery & financing are available. 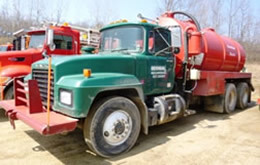 1999 Mack RD688S Tandem axle Water Truck with Mack E-7 diesel engine, Eaton-Fuller 10-speed transmission, engine brake, 217" wheelbase, double frame, Mack spring camelback suspension, 16,000 lb. 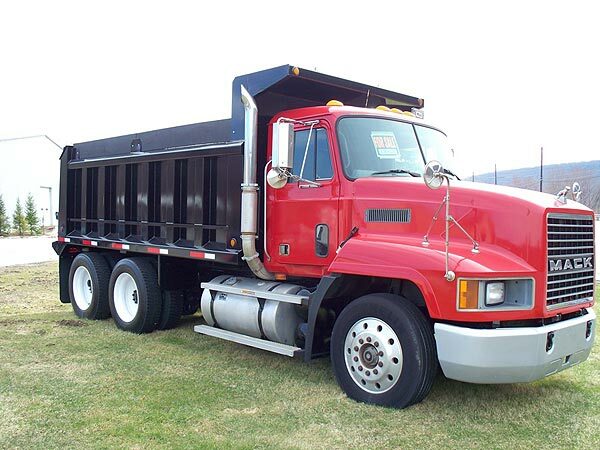 front & 40,000 lb. 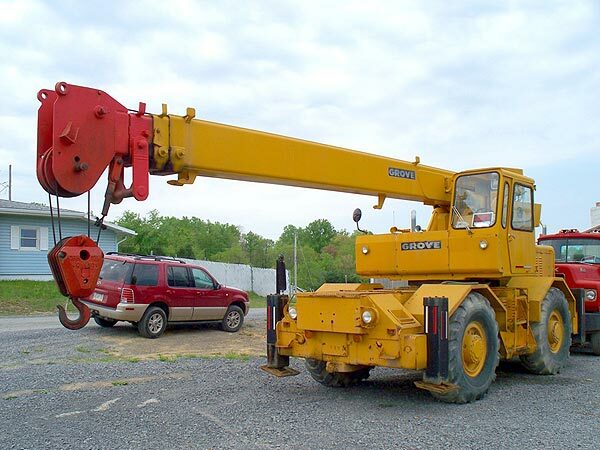 rear axles, 11R22.5 tires, 80 barrel steel water tank, 3" Masport vacuum water pump, rear spray bar, 550,000 miles. In good condition. 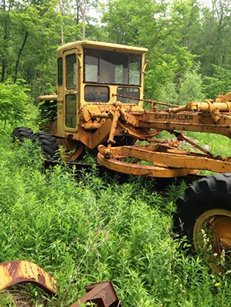 Caterpillar 12 Motor Grader with Cat diesel engine with pony motor start, direct-drive transmission, straight frame, 13' moldboard, scarifier, heated cab, 40% good tires. In fair condition.